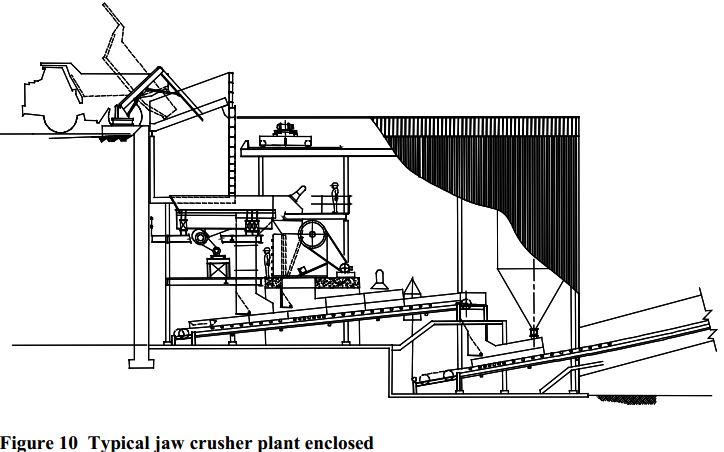 A sectional view of the single-toggle type of jaw crusher is shown below. In one respect, the working principle and application of this machine is similar to the Dodge crushers; the movable jaw has its maximum movement at the top of the crushing chamber, and minimum movement at the discharge point. The motion is, however, a more complex one than the Dodge motion, being the resultant of the circular motion of the eccentric-shaft at the top of the swing jaw. combined with the rocking action of the inclined toggle plate at the bottom of this jaw. The motion at the receiving opening is elliptical; at the discharge opening it is a thin crescent, whose chord is inclined upwardly toward the stationary jaw. 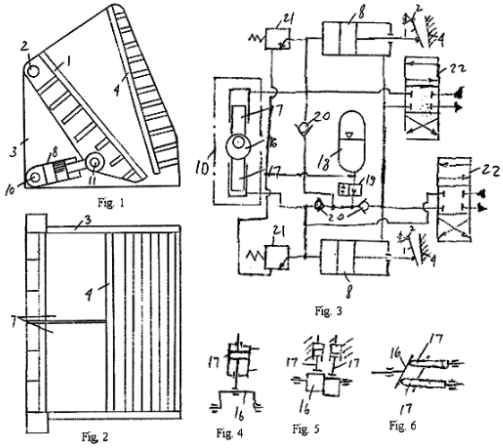 Thus, at all points in the crushing chamber, the motion has both, vertical and horizontal, components. It will be noted that the motion is a “rocking” one. When the swing jaw is rising, it is opening, at the top, during the first half of the stroke, and closing during the second half, whereas the bottom of the jaw is closing during the entire up-stroke. A reversal of this motion occurs during the downstroke of the eccentric. 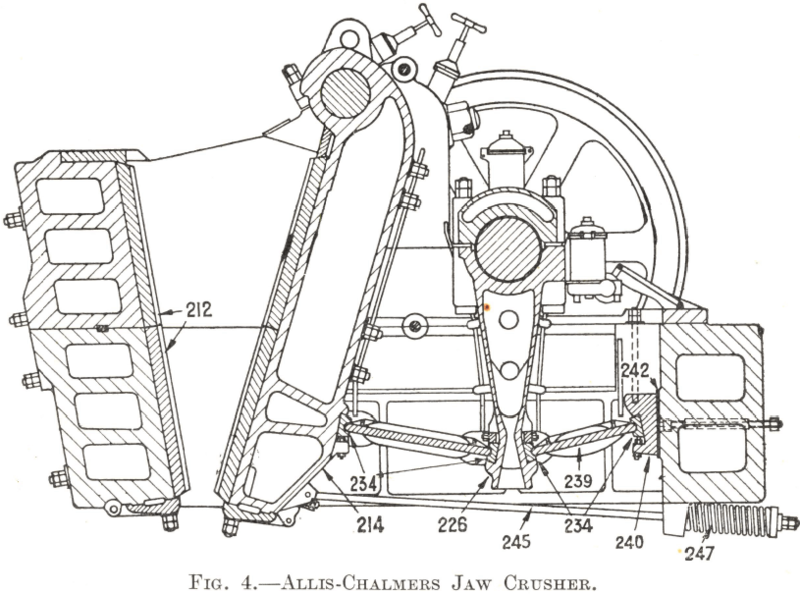 The combination of favorable crushing angle, and non choking jaw plates, used in this machine, promotes a much freer action through the choke zone than that in the Dodge crusher. Capacities compare very favourably with comparable sizes of the Blake machine with non-choking plates, and permissible discharge settings are finer. A table of ratings is given. The single-toggle type jaw crusher has been developed extensively. 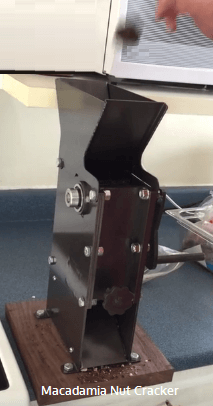 Because of its simplicity, light weight, moderate cost, and good capacity, it has found quite a wide field of application in portable crushing rigs. It also fits into the small, single-stage mining operation much better than the slower Dodge type. Some years since, this type was developed with very wide openings for reduction crushing applications, but it was not able to seriously challenge the gyratory in this field, especially when the high-speed modern versions of the latter type were introduced. 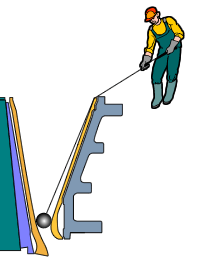 Due to the pronounced vertical components of motion in the single-toggle machine, it is obvious that a wiping action takes place during the closing strokes; either, the swing jaw must slip on the material, or the material must slip along the stationary jaw. It is inevitable that such action should result in accelerated wear of the jaw plates; consequently, the single-toggle crusher is not an economical machine for reducing highly abrasive, or very hard, tough rock. 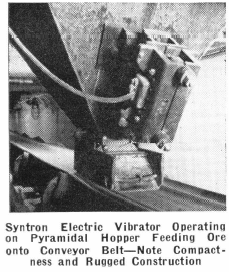 Moreover, the large motion at the receiving opening greatly accentuates shocks incidental to handling the latter class of material, and the full impact of these shocks must be absorbed by the bearings in the top of the swing jaw. Within the limits of its capacity, and size of receiving openings, it is admirably suited for such operations. Small gravel plant operations are also suited to this type of crusher, although it should not be used where the gravel deposit contains extremely hard boulders. The crusher is easy to adjust, and, in common with most machines of the jaw type, is a simple crusher to maintain. As rock particles are compressed between the inclined faces of the mantle and concaves there is a tendency for them to slip upward. 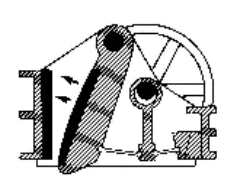 Slippage occurs in all crushers, even in ideal conditions. Only the particle’s weight and the friction between it and the crusher surfaces counteract this tendency. In particular, very hard rock tends to slip upward rather than break. Choke feeding this kind of material can overload the motor, leaving no option but to regulate the feed. Smaller particles, which weigh less, and harder particles, which are more resistant to breakage, will tend to slip more. Anything that reduces friction, such as spray water or feed moisture, will promote slippage. Leading is a technique for measuring the gap between fixed and moveable jaws. The procedure is performed while the crusher is running empty. A lead plug is lowered on a lanyard to the choke point, then removed and measured to find out how much thickness remains after the crusher has compressed it. This measures the closed side setting. The open side setting is equal to this measurement plus the throw of the mantle. amount of fines in the feed. Overhead Pivot (Double Toggle) Similar applications to Blake. Overhead pivot; reduces rubbing on crusher faces, reduces choking, allows higher speeds and therefore higher capacities. Energy efficiency higher because jaw and charge not lifted during cycle. Overhead Eccentric (Single Toggle) Originally restricted to sampler sizes by structural limitations. Now in same size of Blake which it ha s tended to supersede, because overhead eccentric encourages feed and discharge, allowing higher speeds and capacity, but with higher wear and more attrition breakage and slightly lower energy efficiency. In addition as compared to an equivalent double toggle, they are cheaper and take up less floor space. Dodge Bottom pivot gives closer sized product than Blake,but Dodge is difficult to build in large sizes, and is prone to choking. Generally restricted to laboratory used. 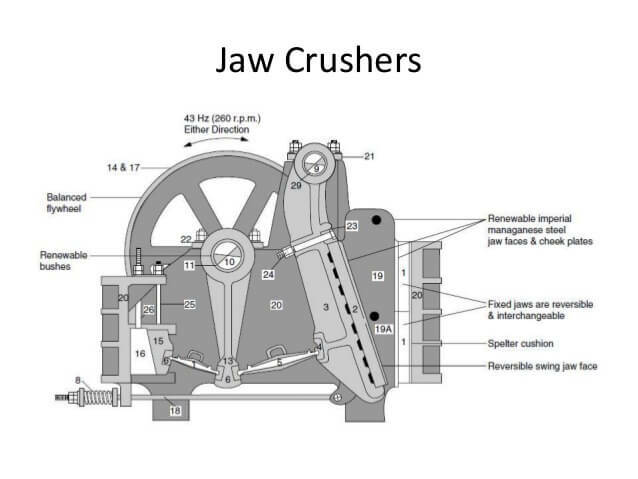 For their lighter constructions, single-toggle jaw crushers are almost half the weight of double toggle machines. A jaw crusher size is obtained by looking at its feed opening (gape) and length. As an example a monster 7959 of 79″ x 59″ (2m x 1.5m) will have its fixed jaws 79″ apart where the feed enters on a 59″ wide set of liner plates. 1. Proper selection of the jaws. 4. Sufficient feeder capacity and width. 5. Adequate crusher discharge area. 6. Discharge conveyor sized to convey maximum crusher capacity. The Double-toggle has its moveable jaw driven via an eccentric shaft that moves the rear and front toggles down and up on each shaft revolutions resulting in the jaws closing at the downstroke and conversely open at the upstroke. A spring loaded tension rod keeps the toggle in its seats. 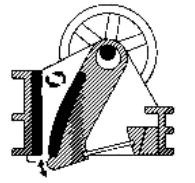 Although the image below is of a single-toggle, it illustrates the shims used to make minor setting changes are made to the crusher by adding or removing them in the small space between the the crusher’s main frame and the rea toggle block. 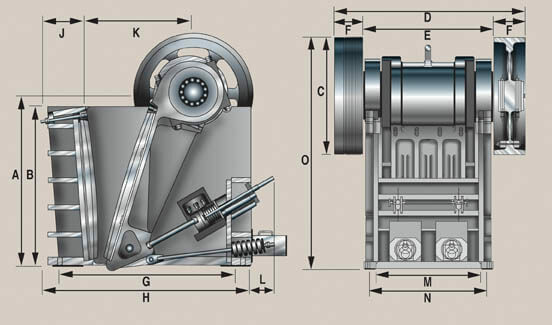 For major crusher closed-side setting adjustment, the length of the front toggle is changed. Measure distance at bottom of jaws at the point of the crushing cycle when bottom of jaws are closest together. Turn flywheel so that counter weights are parallel with movable jaw. Using a piece of lumber as a “feeler gage” check the distance between the valley of the corrugations on one jaw to the crown of the corrugations on the other. Loosen nuts (4) before making adjustment. Loosen tension if crusher is to be adjusted for finer crushing. 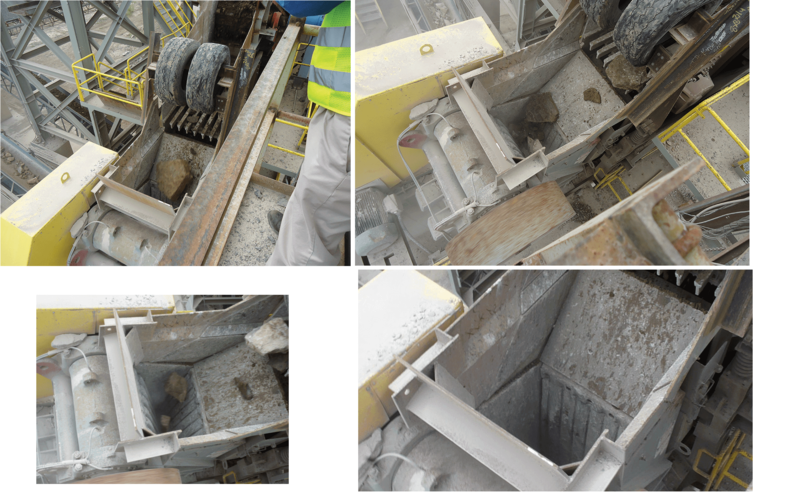 Crusher must be adjusted when empty and stopped. 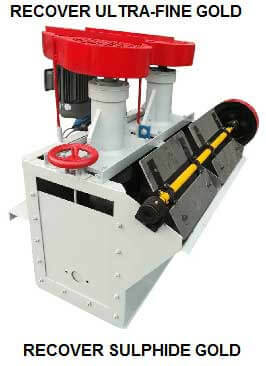 Never close crusher discharge opening to less than minimum opening. Closing crusher opening to less than recommended will reduce capacity of crusher and cause premature failure of shaft and bearing assembly. To compensate for wear on toggle plate, toggle seat, pitman toggle seat and jaws additional shims must be inserted to maintain the same crusher opening. The setting adjustment system is designed to compensate for jaw plate wear and to change the CSS (closed side setting) of the jaw crusher. The setting adjustment system is built into the back frame end. 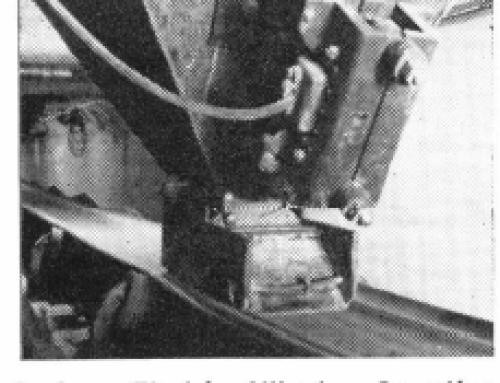 ON NEW GENERATION CRUSHERS: A toggle plate is fitted between an upper toggle seat and a lower toggle seat. 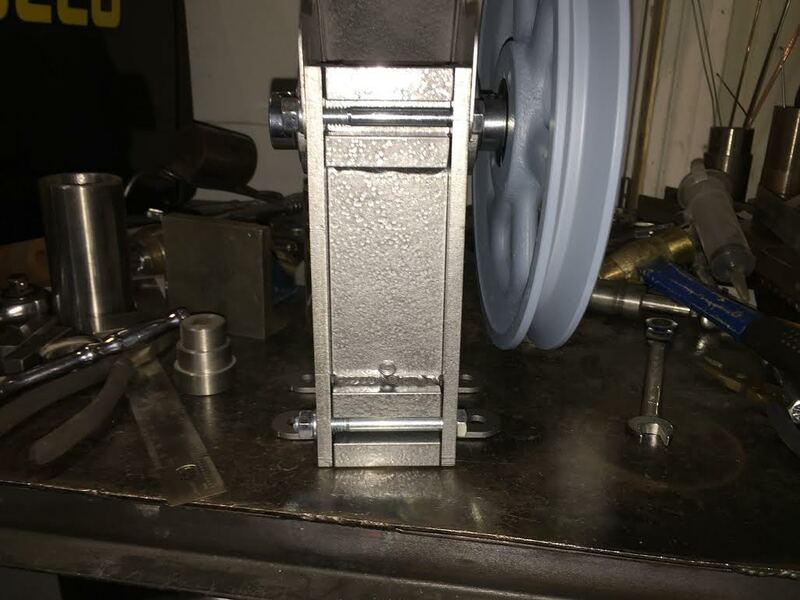 Behind the toggle seat holder, two hydraulic cylinders can push the setting wedges inwards to decrease the discharge setting. 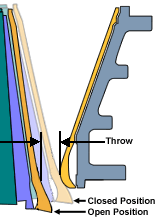 The moving jaw is pushed closer to the stationary jaw and when the gap between the two jaws decreases only smaller fragments of processed material are allowed to pass through. If the hydraulic cylinders move outwards, the gap increases and larger fragments of processed material can pass through. 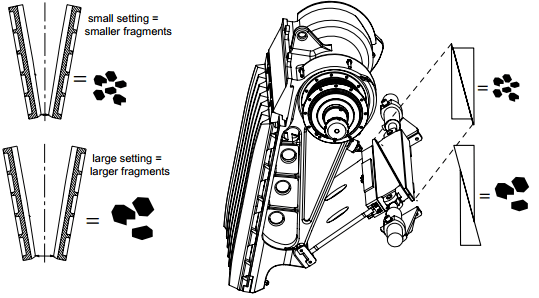 The setting adjustment system is kept in place by a retraction arrangement with a hydraulic cylinder. 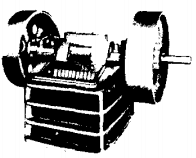 The single-toggle crusher is also known as an overhead eccentric for its eccentric shaft is up above compared to the Dodge which has its shaft below/under. Here, the eccentric is integrated in the “swing” jaw plate that’s moving up/down as the fly wheel rotated by the motor. A single-toggle pivots at the base of the swing plate which is causing the jaw’s arc-like motion. 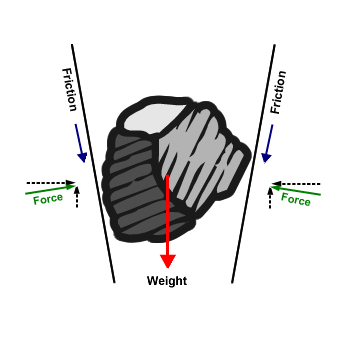 The rock pinching resulting from its flowing/passing between a fixed and a swing moveable plate causes the ore to crush as it is “between a rock and a hard place”. Here also the toggle is keep in place by a compression spring. Large CSS adjustments are made to the jaw crusher by modifying the length of the toggle. Again, shims allow for minor gap adjustments as they are inserted between the mainframe and the toggle block. By design, tramp metal will shear and break the toggle to protect the machine. is done considering the maximum rock-lump or large stone expected to be crushed and also includes the TPH tonnage rate needing to be crushed. In sizing, we not that jaw crushers will only have around 75% availability and extra sizing should permit this downtime. As a rule, the maximum stone-lump dimension need not exceed 80% of the jaw crusher’s gape. For entense, a 59″ x 79″ machine should not see rocks larger than 80 x 59/100 = 47″ or 1.2 meter across. Miners being miners, it is a certainty during day-to-day operation, the crusher will see oversized “ore” but is should be fine and pass thru if no bridging takes place. In large open-pit mines the excavator too often dictated the max feed size of rocks going to the crusher. 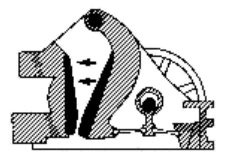 The primary rock breaker that is most commonly used in small plants is a jaw crusher of the Blake type, a typical section of which is shown in Fig. 4. 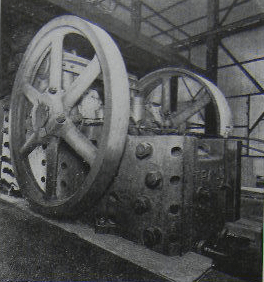 It will be seen that the pitman (226) is suspended from an eccentric on the flywheel shaft and consequently moves up and down as the latter revolves, forcing the toggle plates outwards at each revolution. The seating (234) of the rear toggle plate (239) is fixed to the crusher frame ; the bottom of the swing jaw (214) is therefore pushed forward each time the pitman rises, a tension rod (245) fitted with a spring (247) being used to bring it back as the pitman falls. 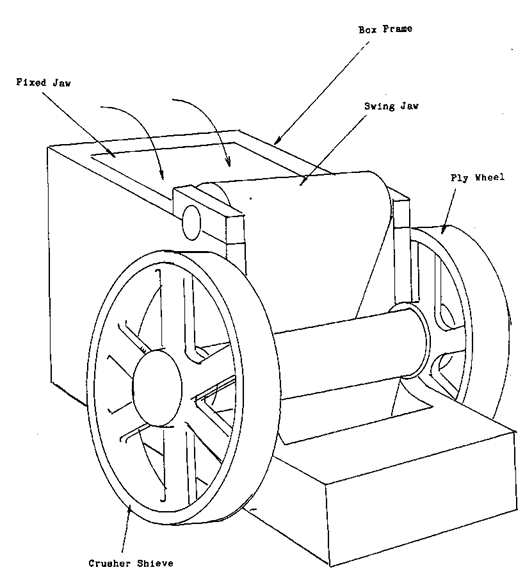 Thus at each revolution of the flywheel the movable jaw crushes any lump of ore once against the stationary jaw (212) allowing it to fall as it swings back on the return half-stroke, until eventually the pieces have been broken small enough to drop out. It follows that the size to which the ore is crushed. The jaw crusher is not so efficient a machine as the gyratory crusher described in the next paragraph, the chief reason for this being that its crushing action is confined to the forward stroke of the jaw only, whereas the gyratory crusher does useful work during the whole of its revolution. 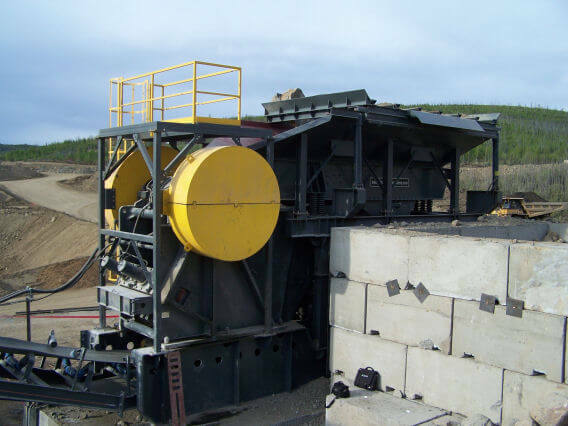 In addition, the jaw crusher cannot be choke-fed, as can the other machine, with the result that it is difficult to keep it working at its full capacity— that is, at maximum efficiency. 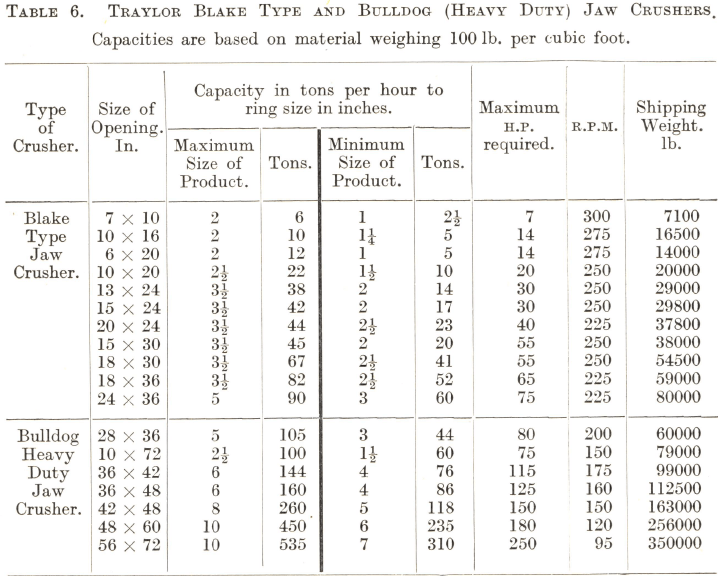 Tables 5 and 6 give particulars of different sizes of jaw crushers. The capacity figures are based on ore weighing 100 lb. 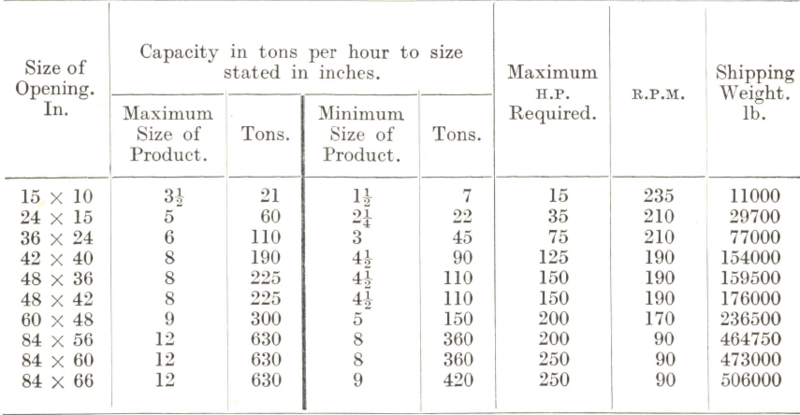 per cubic foot ; for a heavier ore the figures should be increased in direct proportion to its weight in pounds per cubic foot. TABLE 5. ALLIS-CHALMERS SUPERIOR JAW CRUSHERS. 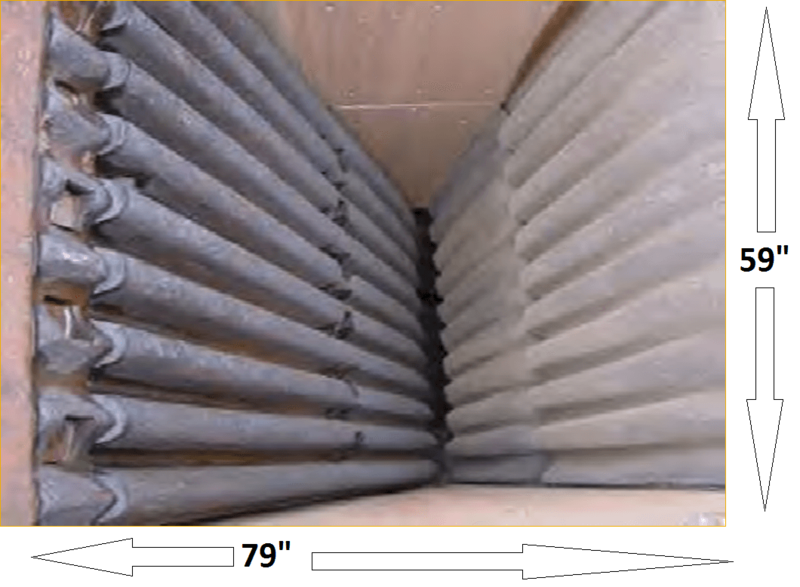 Product sizes correspond approximately to the discharge opening measured from the tip of a corrugation on one jaw plate to the bottom of the corrugation on the other when the jaws are open. 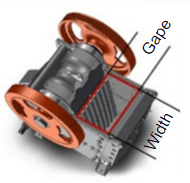 Capacities are based on material weighing 100 lb. per cubic foot. similarities, each crusher design has its own limitations and advantages that differ from the other one. A Gyratory crusher can be fed from two sides and is able to handle ore that tends to slab. 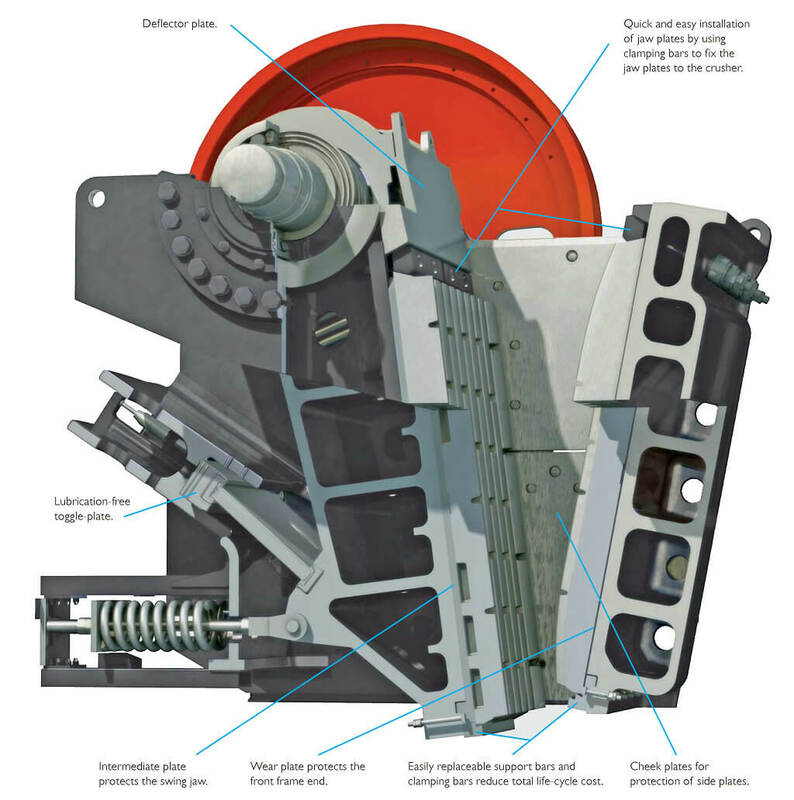 Its design allows a higher speed motor with a higher reduction ratio between the motor and the crushing surface. This means a dollar saving in energy costs. 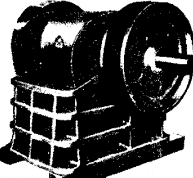 A Jaw crusher on the other hand requires an Ely wheel to store energy. The box frame construction of this type of crusher also allows it to handle tougher ore. 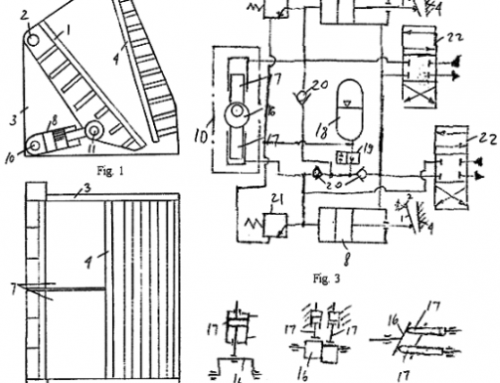 This design restricts the feeding of the crusher to one side only. Another prime consideration is the space that each takes up. The Jaw crusher tends to end up working underground because of its smaller size and its single feed point. The Jaw crusher gets its name from the type of crushing surface used. This surface is literally two jaws. One of which is a STATIONARY OR FIXED JAW. The other is called a SWING JAW. The ore enters from the top and the swing jaw squeezes it against the stationary jaw until it breaks. The broken ore then falls through the crusher to be taken away by a conveyor that is under the crusher. 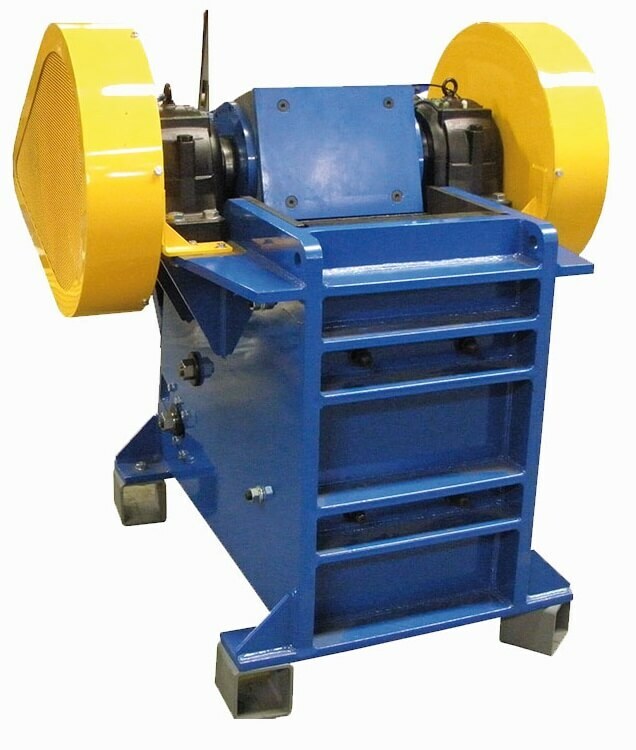 Although the jaws do the work, the real heart of this crusher is the TOGGLE PLATES, the PITMAN, and the PLY WHEEL. These jaw crushers are ideal for small properties and they are of the high capacity forced feed design. On this first Forced Feed Jaw Crusher, the main frame and bumper are cast of special alloy iron and the initial cost is low. The frame is ribbed both vertically and horizontally to give maximum strength with minimum weight. 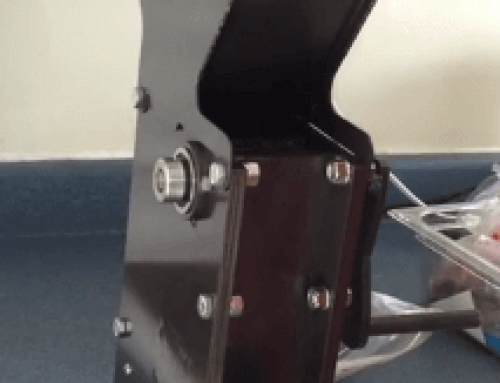 The bumper is ruggedly constructed to withstand tremendous shock loads. Steel bumper can be furnished if desired. The side bearings are bronze; the bumper bearings are of the antifriction type. This bearing arrangement adds both strength and ease of movement. The jaw plates and cheek plates are reversible and are of the best grade manganese steel. The jaw opening is controlled by the position of an adjustable wedge block. 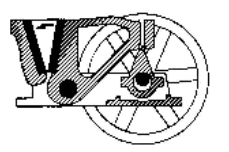 The crusher is usually driven by a V-to-V belt drive, but it can be arranged for either V-to-flat or fiat belt drive. The 8″x10″ size utilizes a split frame and may be packed for muleback transportation. Cast steel frames can be furnished to obtain maximum durability. Type H—Cast Steel Frame. Anti-friction Bumper Bearings, Bronze Side Bearings. 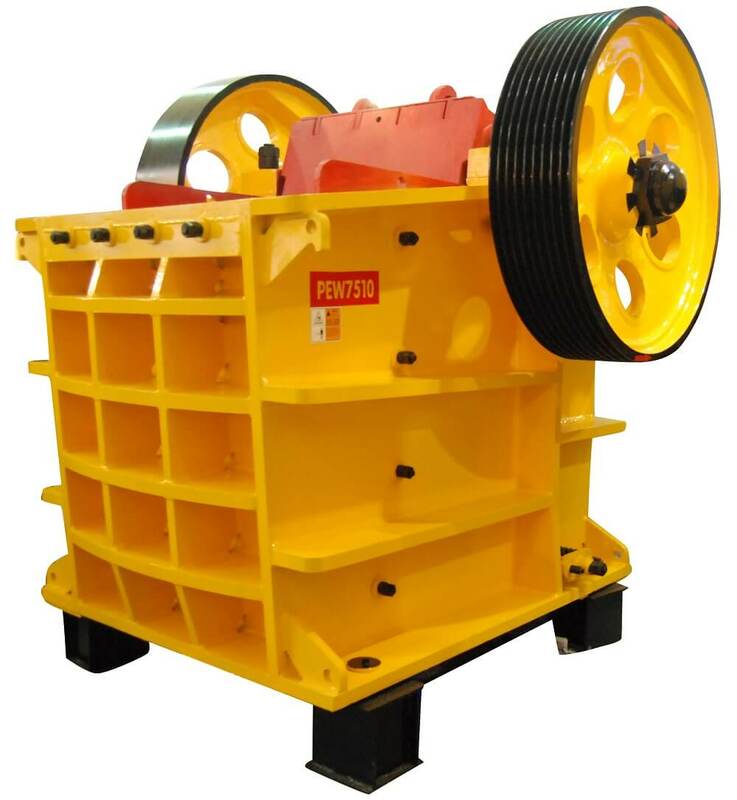 This second type of forced feed rock crusher is similar in design to the Type H listed above except for having a frame and bumper made of cast steel. This steel construction makes the unit lighter per unit of size, and adds considerable strength. 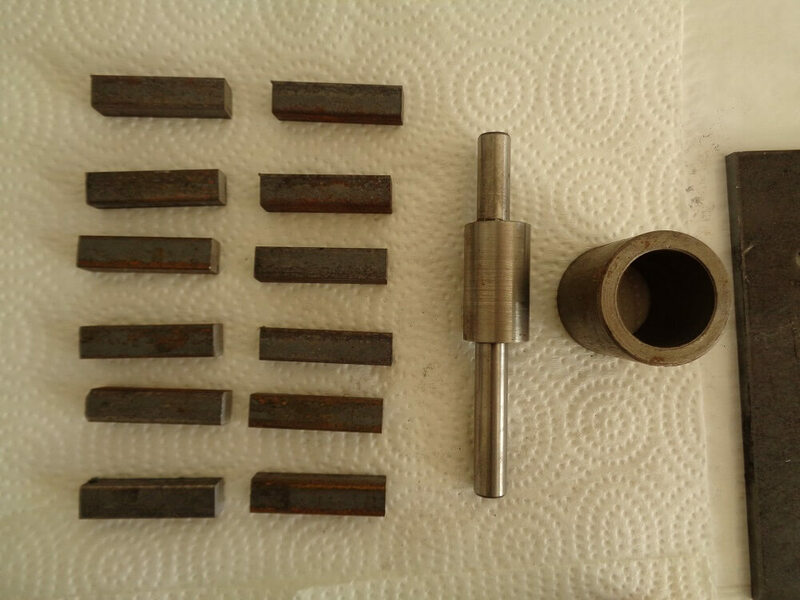 The bearings are all of special design; they are bronze and will stand continuous service without any danger of failure. The jaw and cheek plates are manganese steel; and are completely reversible, thus adding to their wearing life. The jaw opening is controlled by the position of an adjustable wedge block. The crushers are usually driven by V-to-V but can be arranged for V-to-flat and belt drive. The 5″x6″ size and the 8″x10″ size can be made with sectionalized frame for muleback transportation. This crusher is ideal for strenuous conditions. Consider a multi jaw crusher. 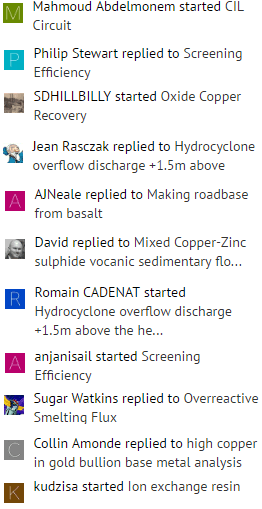 Some jaw crushers are on-floor, some aboveground and others underground. This in many countries, and crushing many kinds of ore. The Traylor Bulldog Jaw crusher has enjoyed world wide esteem as a hard working, profit producing, full-proof and trouble free breaker since the day of its introduction, nearly twenty years ago. To be modern and get the most out of your crushing dollars, you’ll need the Building breaker. We’d value the privilege of telling you why-by letter, through our bulletins or in person. Write us now – today -for a Blake crusher with curved jaw plates that crush finer and step up production. When a machine has such a reputation for excellence that buyers have confidence in its ability to justify its purchase, IT MUST BE GOOD! Take the Type G Traylor Jaw Crusher, for instance. 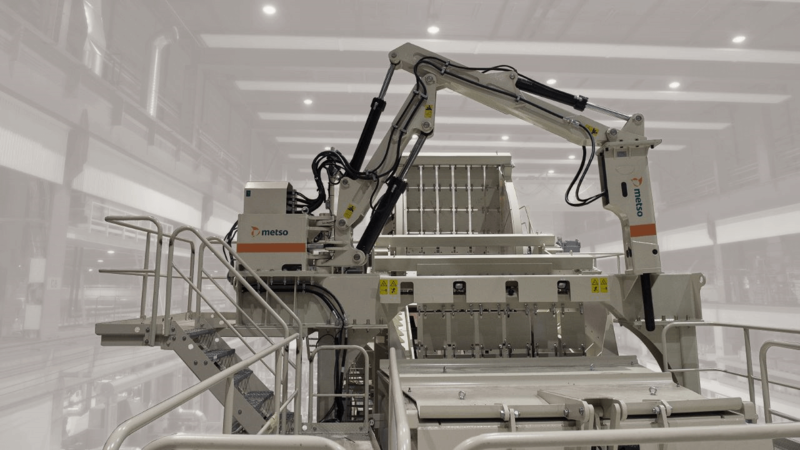 The engineers and operators of many great mining companies know from satisfying experience that this machine delivers a full measure of service and yields extra profits. So they specify it in full confidence and the purchase is made without the usual reluctance to lay out good money for a new machine. 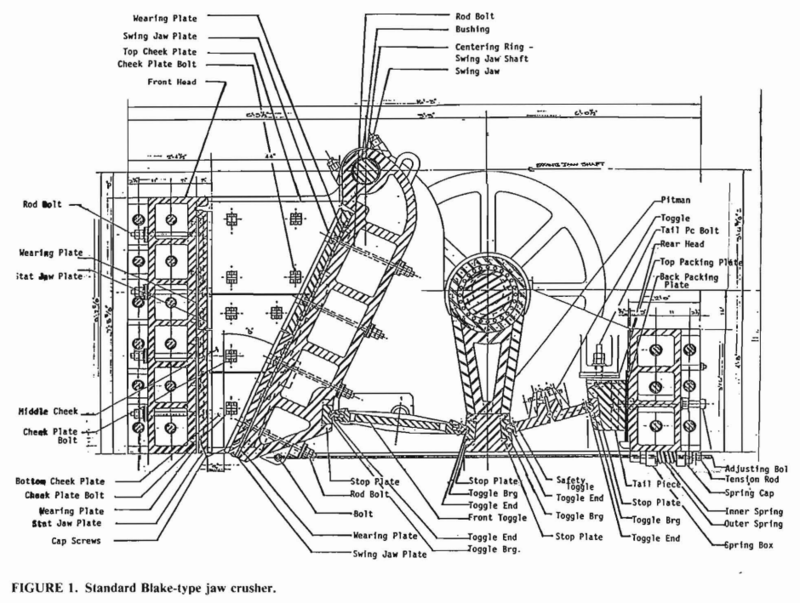 The success of the Type G Traylor Jaw Crusher is due to several characteristics. It is (1) STRONG almost to superfluity, being built of steel throughout; it is (2) FOOL-PROOF, being provided with our patented Safety Device which prevents breakage due to tramp iron or other causes of jamming; it is (3) ECONOMICAL to operate and maintain, being fitted with our well-known patented Bulldog Pitman and Toggle System, which saves power and wear by minimizing friction—power that is employed to deliver increased production; it is (4) CONVENIENT to transport and erect in crowded or not easily accessible locations, because it is sectionalized to meet highly restrictive conditions. Whenever mining man need a crusher that is thoroughly reliable and big producer (which is of all time) they almost invariably think first of a Traylor Type “G” Jaw Crusher. By experience they know that this machine has built into it the four essentials to satisfaction and profit- strength, foolproofness, economy and convenience. Maximum STRENGTH lies in the liberal design and the steel of which crusher’s parts are made-cast steel frame, Swing Jaw, Pitman Cap and Toggles, steel Shafts and Pitman rods and manganese steel Jaw Plates and Cheek Plates. FOOLPROOFNESS is provided by our patented and time-tested safety Device which prevents breakage due to packing or tramp iron. ECONOMY is assured by our well known Bulldog Pitman and Toggle System, that saves power and wear by minimizing friction, power that is used to deliver greater production. CONVENIENCE in transportation and erection in crowded or not easily-accessible locations, is planned for in advance by sectionalisation to meet any restrictive conditions. 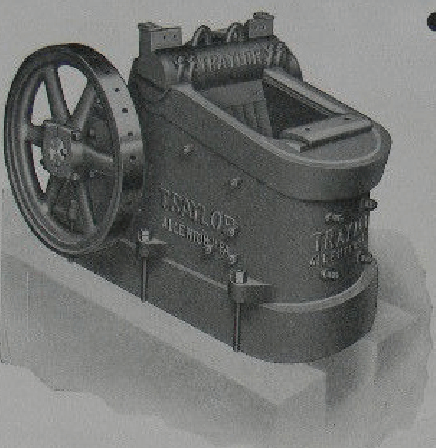 Many of the world’s “greatest” mining companies have standardized upon the Traylor Type “G” Jaw Crusher. Most of them have reordered, some of them several times. What this crusher is doing for them in the way of earning extra dollars through increased production and lowered costs, it will do for you! Investigate it closely. The more closely you do, the better you”ll like it.